“Luke,” Richard Hays remarks in one of his books, “is above all a storyteller” (2016, 275). 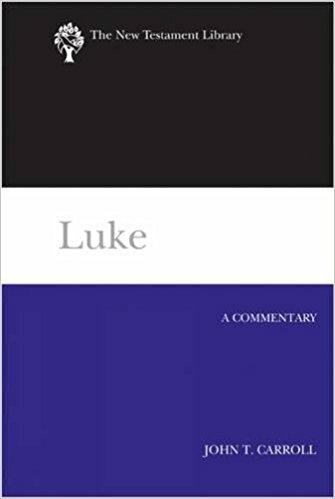 This characterization, brief as it is, highlights what might be the most important dimension of the lens that Union Presbyterian Seminary professor John T. Carroll brings to the table in his book, Luke: A Commentary, which was published in 2012. A number of New Testament scholars—maybe most prominent among them James Dunn—have highlighted the importance of remembering that the materials we read in the Gospels were in all likelihood first passed on as oral traditions by the earliest communities of Jesus followers. This insight is important at the very least because it prevents contemporary readers from making anachronistic assumptions about how the canonical Gospel texts were formed, but it doesn’t take away from the fruits that can be gathered by also exploring their literary shape and texture. Recognizing the predominantly oral origins of the Gospels and studying the narrative dynamics of their final forms aren’t mutually exclusive tasks. After all, the Gospel writers, in their own distinctive ways, were creative theologians in their own right, not merely haphazard compilers of community traditions. Paul’s Letter to the Romans deals with themes central to the Christian faith, which helps explain why, even after being read and reflected upon for nearly two millennia, lively conversations about how to best interpret it continue to take place. 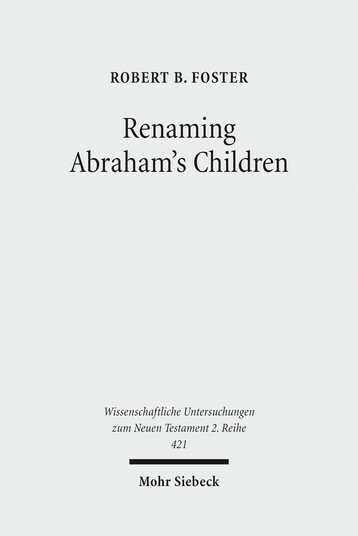 In his dissertation on Romans 9, Renaming Abraham’s Children, Robert B. Foster joins the time-honored tradition of “trying to think Paul’s thoughts after him,” to borrow N.T Wright’s turn of phrase (2009, p.x), attempting to show how Paul’s understanding of election was shaped by his prior engagement with the foundational stories of the patriarchs in Genesis (pp. 1-2). 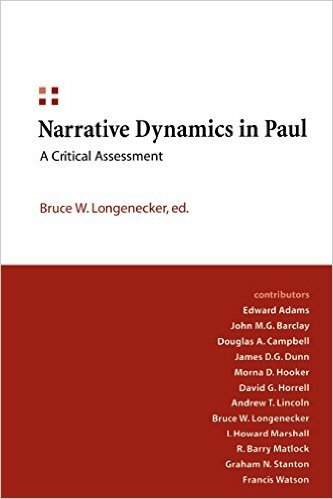 By tracing Paul’s interpretation of these narratives, Foster aims to help uncover a level of theological coherence in chapters 9-11 more frequently sought after than actually found (p.3). For some people, their initial forays into the Old Testament go something like my first attempt at reading Dietrich Bonhoeffer’s The Cost of Discipleship. 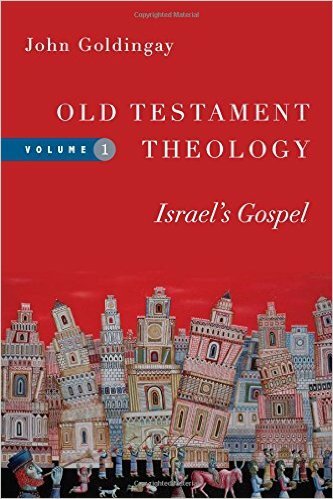 It was one of the first real works of theology that I ever read, and I began with much enthusiasm. However, due to a combination of inexperience with studying theology and the fact that I was reading a work translated from German, my progress slowed the farther I got into the book. I completed The Cost of Discipleship—a challenging and truly worthwhile read—fully aware of the tenuous nature of my understanding of Bonhoeffer’s words. What should healthy biblical interpretation look like? 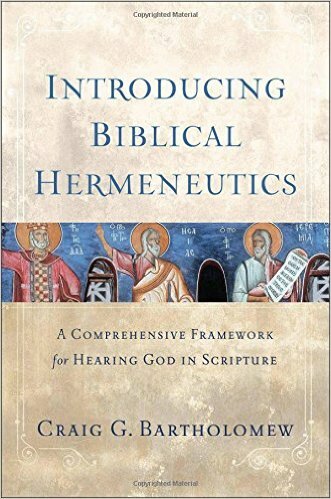 Craig Bartholomew’s Introducing Biblical Hermeneutics addresses this question head on, giving a sweeping introduction to the subject that both explains the history and importance of various academic approaches while also developing for readers a vision of biblical hermeneutics that is trinitarian in shape and aimed ultimately at enabling “obedient attention to God’s address through his Word” (p.10). Bartholomew was born in South Africa in 1961 and now teaches at Redeemer University College in Ontario, Canada. In 1980, J.C. Beker declared in Paul the Apostle that, “Paul is a man of the proposition, the argument and the dialogue, not a man of the parable or story” (p.352). At the time, he was far from the only one who took that as an assumed position. A few short years after those words were written, though, the winds of change began to blow. Among the four canonical Gospels, John’s account has long been seen as distinctive. His narrative is suffused with poetic symbols, dualistic language, and vivid imagery. The parables we find Jesus telling throughout the Synoptic Gospels (Matthew, Mark, and Luke) are for the most part nowhere to be found in John. Instead, we find extended discourses from Him exploring the various dimensions of His relationship with the Father and the rest of the world. 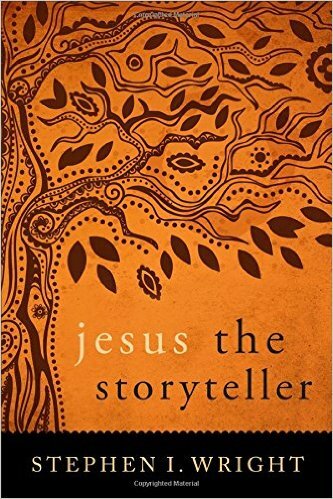 John’s Gospel also has a number of unique stories about Jesus. These episodes include the “I am” statements of Jesus (ex. “I am the light of the world” or “I am the bread of life”), as well as Jesus’ nighttime conversation with Nicodemus and His wedding miracle at Cana. All of these things help make John’s written portrait of Jesus unique and valuable, but they can also make reading John a disorienting experience, especially for those used to the language and rhythms of the Synoptic Gospels. 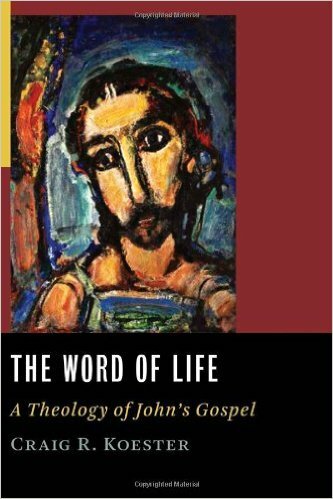 Craig Koester’s book, The Word of Life: A Theology of John’s Gospel, is a great introduction that helps perplexed readers familiarize themselves with the major themes and distinctive features of John.